Café rebranding in the Augustinerstrasse. Used to be Café Lavazza. Naff espresso, but 2 nice Golden Retrievers and the location’s great. 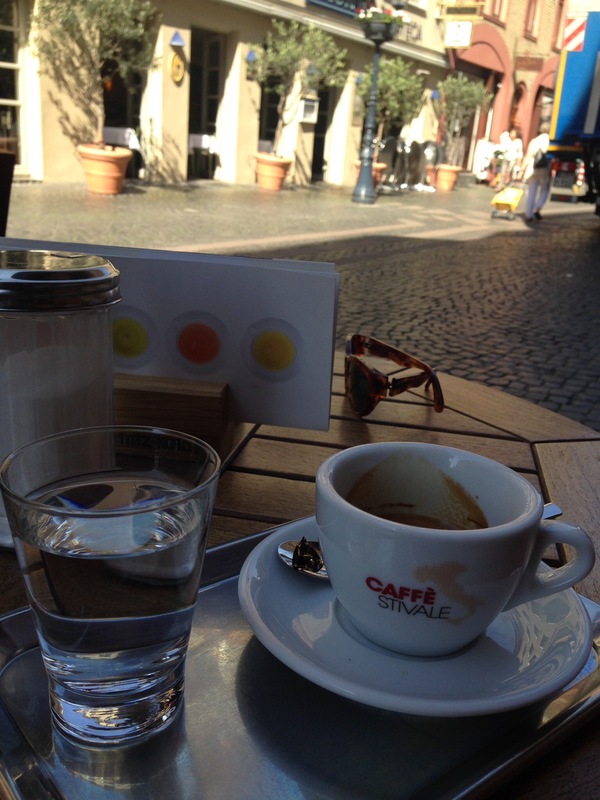 It’s now Caffè Stivale – still a great location, nice lady running the place but a distinct lack of Golden Retrievers. 06 Jun	This entry was published on 6 June, 2015 at 08:08 and is filed under Altstadt, Culinary, Mainz. Bookmark the permalink. Follow any comments here with the RSS feed for this post. Newer: Not here. Not there. Nowhere. I’d rather have the company of the retrievers!